Who else is glad it's smoothie season? Not only did we have an abundance of fruit hanging around this weekend, we've been itching to test out our new-to-us-but-really-old Waring blender you might remember from my trip to Syracuse. For a couple who loves to cook, Tim and I actually didn't own a blender, so after cleaning this guy up we were rearing to go. 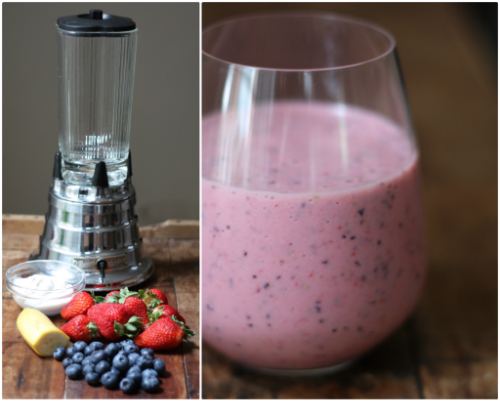 Smoothies are they type of meal (snack in this house), that are really flexible as far as ingredients, measurements and methods go — right up our alley. They are a great way to use up leftover fruit and other staples you have in the fridge at the end of the week or anytime for that matter. 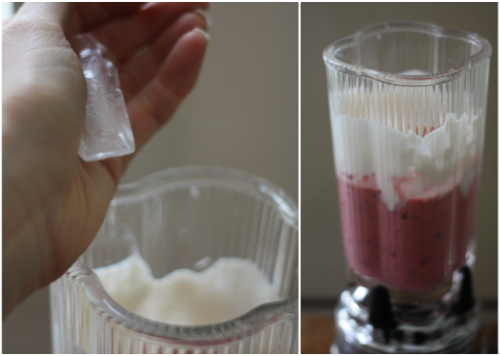 For this fruit smoothie, we were working with a healthy handful of strawberries, half a banana, a smaller handful of blueberries and what we had left of the Greek yogurt Basil used weekend before last to make frosty paws with. That's really all you need — the banana and yogurt act as thickening agents and these ingredients combined are sweet enough without needing any extra sweeteners. If you must, a dollop of honey will do the trick. 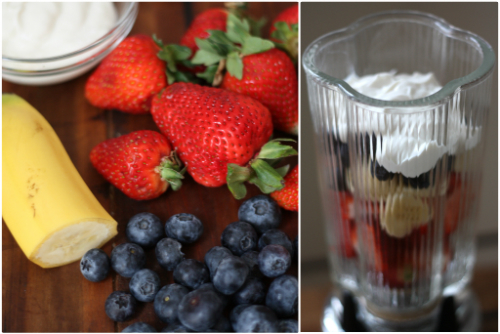 Toss all of your ingredients in the blender and take a moment to marvel at beautiful they look all stacked up. Then turn your blender on the lowest setting to get things going before really cranking it up. Boy did our little blender seem to enjoy being taken out of hiding for a good spin — worked like a charm. Once all of your ingredients are blended well but not too liquidy, turn off the blender and toss in a handful of ice cubes. 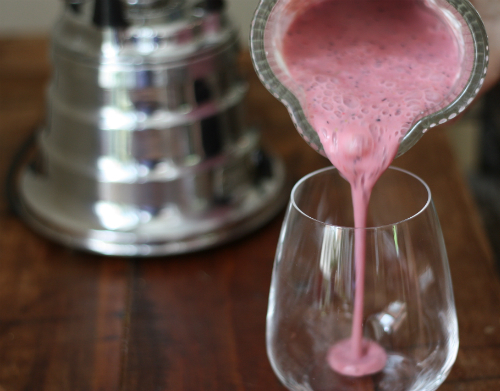 The ice cubes will help give the smoothie that thick and slightly crunchy texture while cooling it down to the perfect drinking temperature at the same time. Blend in the ice on high for a few seconds until thoroughly broken down but not melted — now you're ready for the pour. Clear glasses of any kind preferred. Again, for marveling purposes. 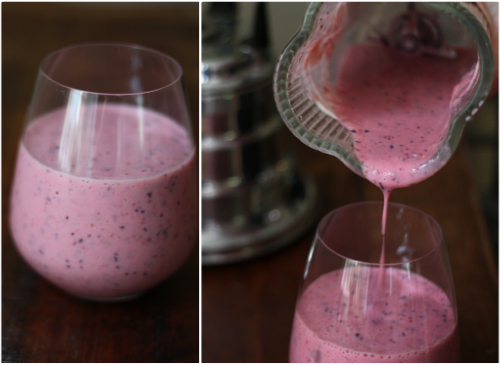 Yes, we sure are glad it's smoothie season. Now that we're equipped with our blender, we expect to see many more versions of these in our near future over the summer. 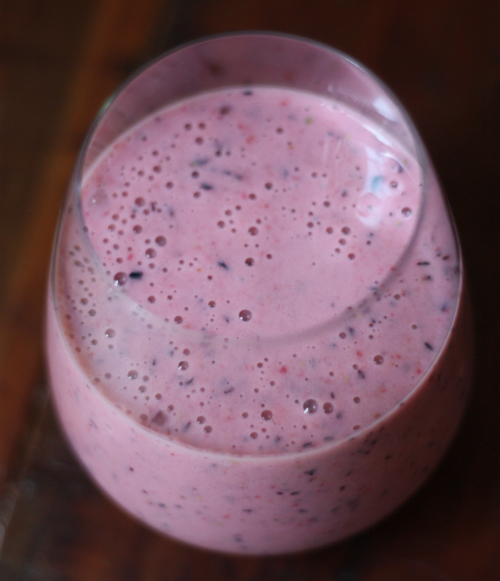 Do you have a favorite or tried and true smoothie recipe? 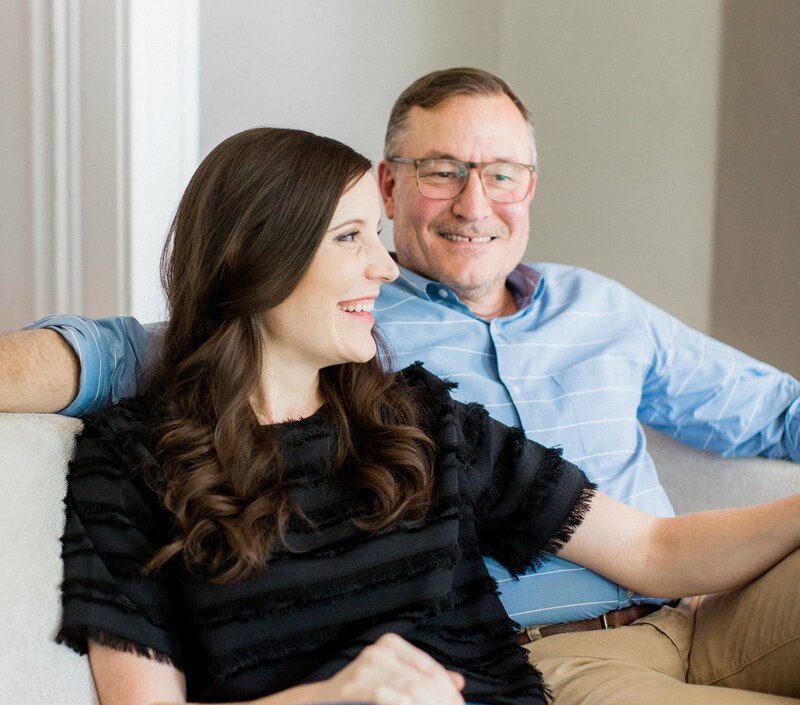 We'd love to build up our repertoire! Oh wow — love the idea of cinnamon to kick things up, thanks for the tip! I do strawberries, a tbsp of Nutella, a tbsp of whey protein, some watermelon, blueberries, and 1/2 a cup of coconut milk. Canned or fresh will do. If its too thick just add a bit of water. Sooo yummy-licious! Whenever I read or hear Waring Blender, Warren Zevon's Poor, Poor Pitiful Me comes to mind! Alton Brown has long been a proponent of using frozen fruit and letting the ingredients thaw a little in the fridge the night before. This ensures that you don't have to use ice in the smoothie as once it starts to melt, it waters the drink down. 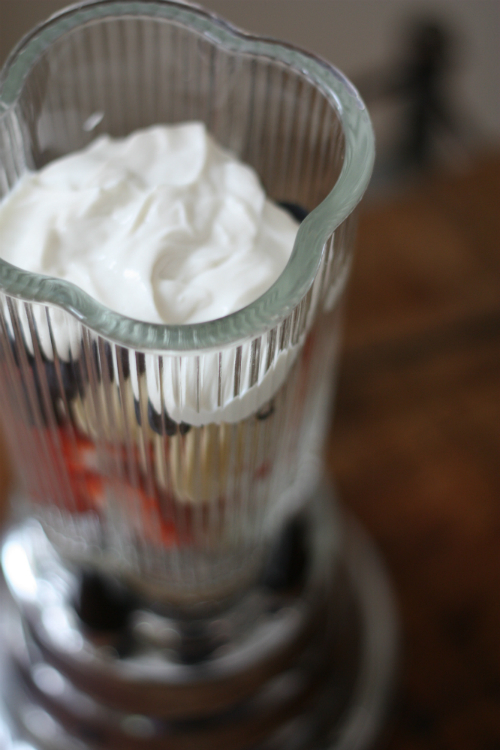 The partially frozen bananas and fruit give the smoothie a creaminess that allows you to leave out the yogurt if you want.